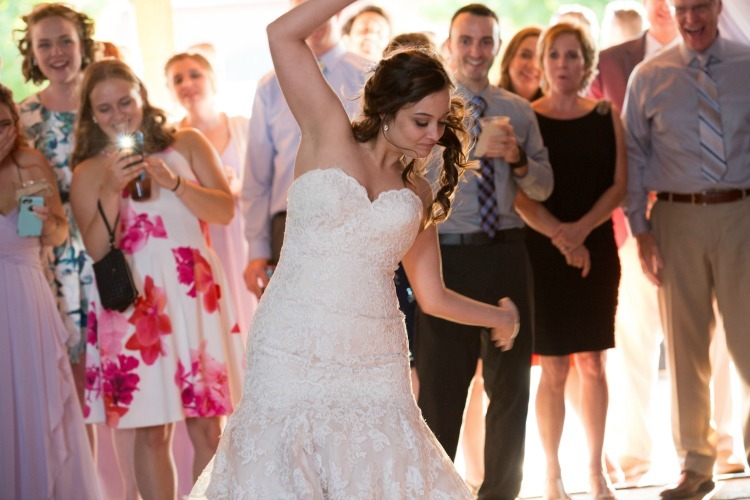 Guys, I was looking forward to dancing with my husband SO MUCH. I would think about it in the car, and play our song and would get teary eyed. 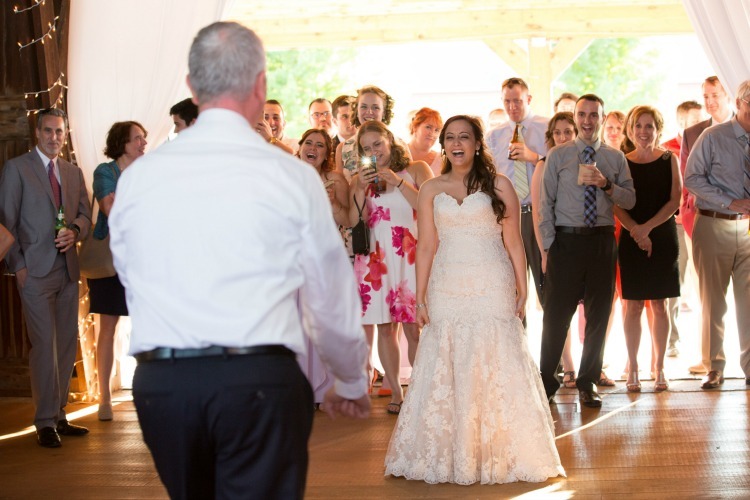 After all the crying for almost the whole ceremony, I was dry eyed and smiling for our dance. We really tuned everything out and just enjoyed the moment together. 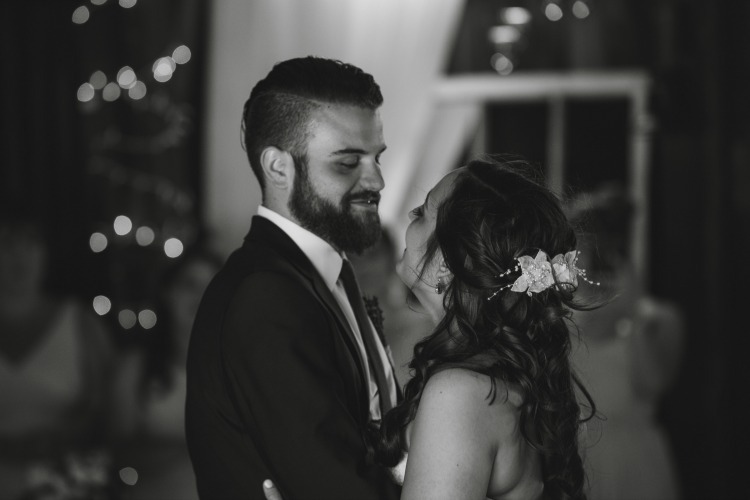 We decided to do our first dance immediately upon entering the reception, so that we could keep the flow a little better. We danced to our song, You Send Me by Sam Cooke. A little bit later in the night we danced with our parents. 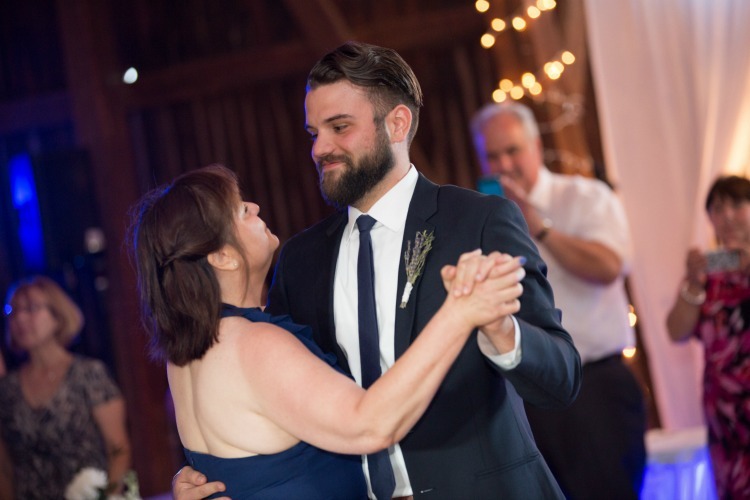 Dave and his mom danced to God Only Knows by the Beachboys. 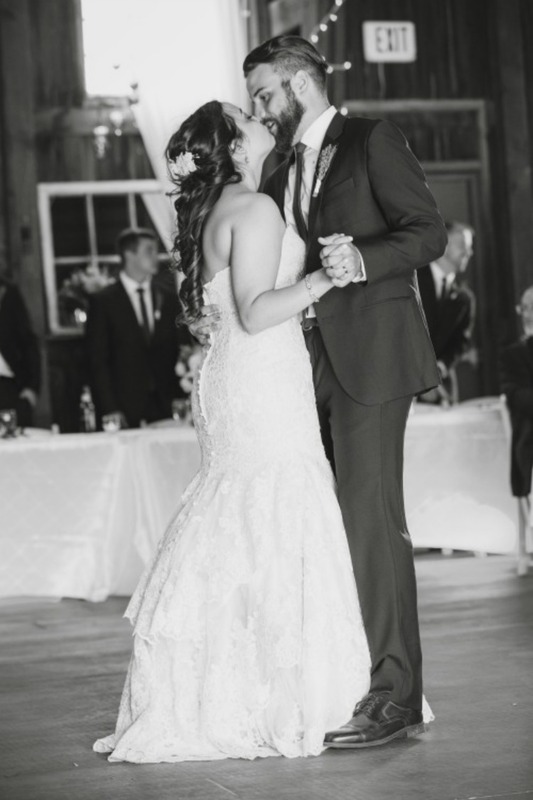 Dave always feels awkward dancing, but I can't believe how nice this photo turned out. 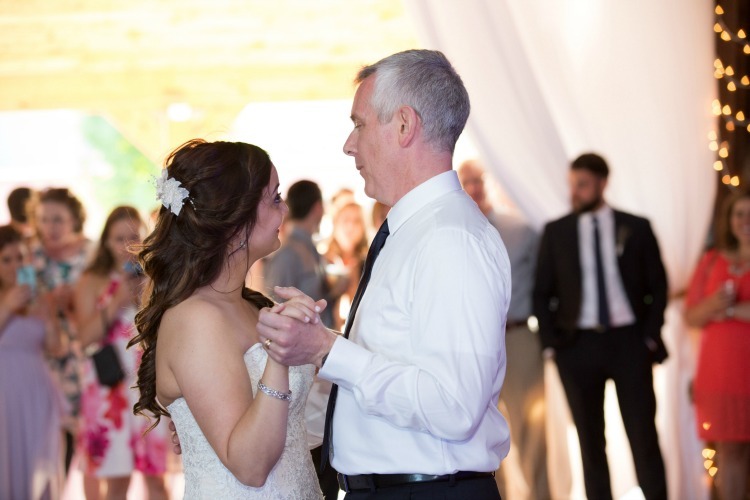 Then my dad and I danced to Music of my Heart by NSYNC and Gloria Estefan. Can you tell that we were making fun of each other? AND THEN! We surprised everyone by breaking in to the Pee Wee Herman Tequila Dance!! My dad is a very quiet and usually reserved guy. Doesn't like to call attention to himself. Well, at my parent's wedding he got so drunk, that he danced to the Tequila Song by himself in the middle of the dance floor. It was apparently so funny that everyone cheered and people ALWAYS ask him to do it at events and stuff. Up until now Tequila had not been reprised. It was awesome to see people's faces when the music changed and we started dancing. Everyone was shocked, and said how awesome it was that we did that. Nikki and I love reading all about your big day, someone else’s wedding adventures, or anything else wedding related. 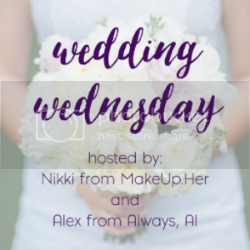 We just can’t wait to read all about it, so link-up with us for Wedding Wednesday!